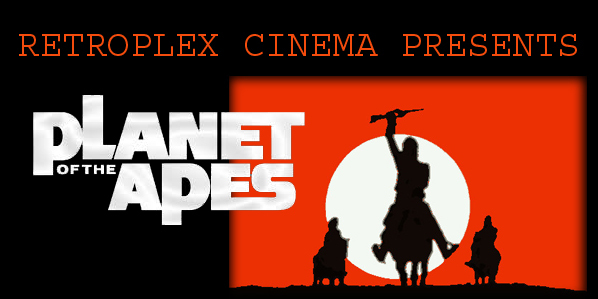 Back in 2011 we took a look at the entire Planet Of The Apes sage in a three part edition of Retroplex Cinema. You can find those in our archives here. Today as we get ready for War For The Planet Of The Apes we take a look once again at the science fiction classic that is Planet Of The Apes. Planet Of The Apes (1968) is one of the most popular science fiction films sagas of all time. The original film was an enormous hit at the box office and world wide and went on to spawn four sequels. 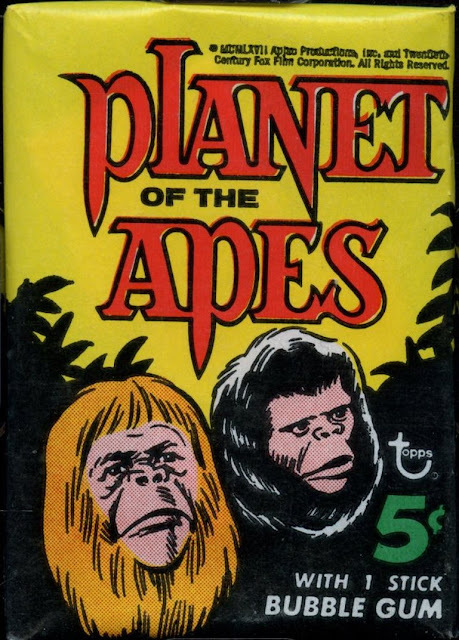 There was also an animated series and a live action television series, both of which lasted only one season but played their part in the history of the Planet Of The Apes saga. Today the series has been rebooted with 2011's Rise Of The Planet Of Tha Apes. The story continued in 2014 with Dawn Of The Planet Of The Apes and now we prepare for War For The Planet Of The Apes in theaters July 14th. What is it that has made this franchise so popular and to stand the test of time? Perhaps it's the far off adventure and the science fiction of it all. 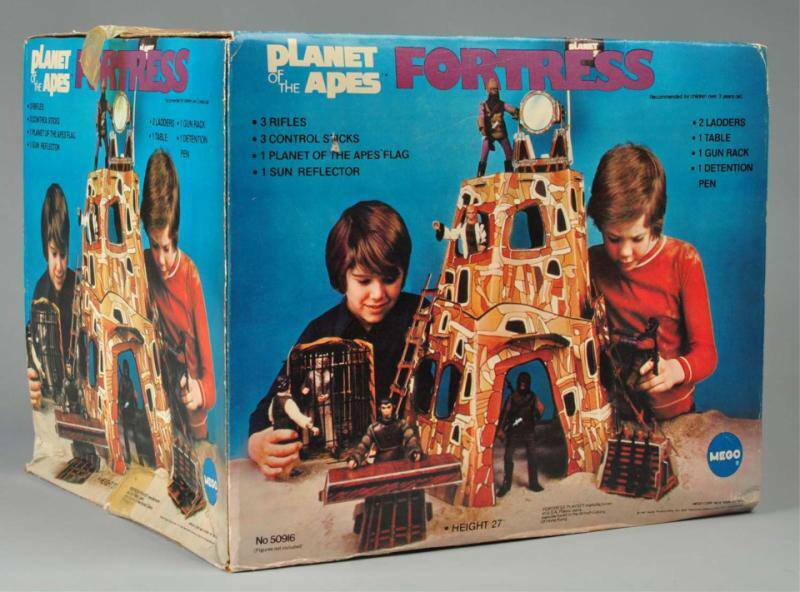 That a planet run by apes could be superior to man kind and rule the world! Maybe it's the parallels it runs with relations of te political times in which the movie was released that still hold true today. Or even maybe just because it's a fun filled series of movies that takes us places we could not go without the movies! That would hearken back to the idea of what was just said about it being the adventure of science fiction in it all so perhaps that is the reason! Whatever it may be Planet Of The Apes is still as important today and new generations are discovering the film series along with the new films in the series! Planet Of The Apes began as a novel written in 1963 by French author Peirre Boulle. The book was optioned shortly after being written to be made into a motion picture but would take several years to get made as the production company worked on how to make the Apes in the film look as realistic as possible with make-up techniques available to them in the 1960's. Eventually through 20th Century Fox and producer Arthur P. Jacobs the film was made and released in theaters on April 3, 1968. It actually had a very limited release in February of that year but only at a single theater to see how it would play. After it's wide release that April it was huge success making over $32 million at the box office. A huge hit by 1968 standards and one that got a sequel put into production immediately. The film was well received for it's outstanding make-up work, intriguing story line, and overall spectacle of a film. From this initial film we got four sequels. 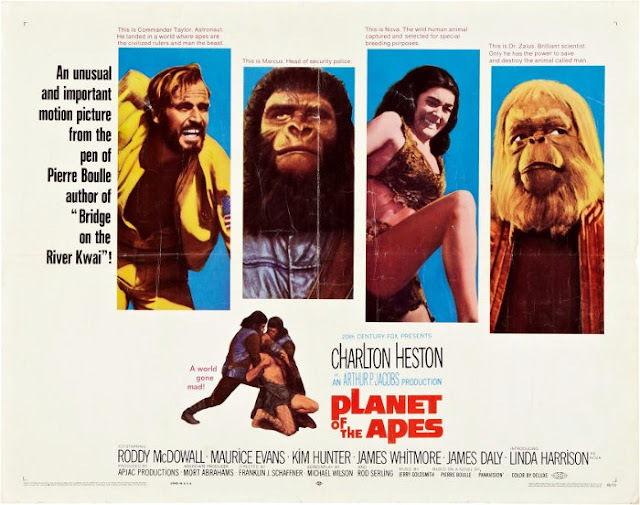 Beneath The Planet Of The Apes was released in 1970 and followed by Escape From the Planet Of The Apes in 1971, Conquest Of The Planet Of The Apes followed in 1972 and Battle For The Planet Of The Apes would conclude the saga in 1973. A television series called Planet Of The Apes ran for one season in 1974 and an animated series titled Return To The Planet Of The Apes aired in 1975. A massively successful franchise if their ever was one even if some of the films and projects weren't received as well as the first film. Either way the saga of the Planet Of The Apes has lasted the test of time and still has millions of fans today. 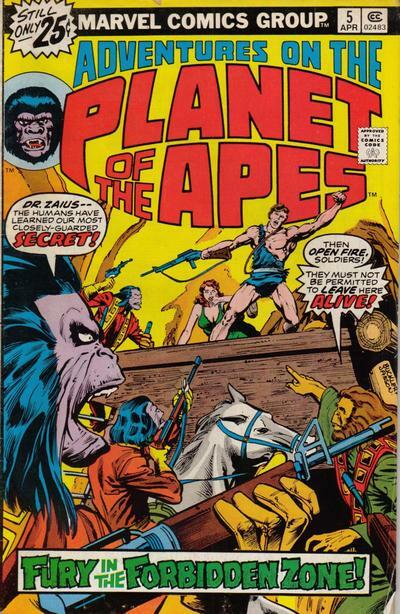 Planet Of The Apes would continue on in comic books produced by Marvel Comics and through merchandising over the years. In 2001 when Tim Burton re-imagined the film with his version, it caused a resurgence in the original films and led to new merchandise being made. Then in 2011 Rise Of The Planet Of The Apes rebooted the franchise in a fresh new way that has completely revitalized the original films and merchandising in a big way. 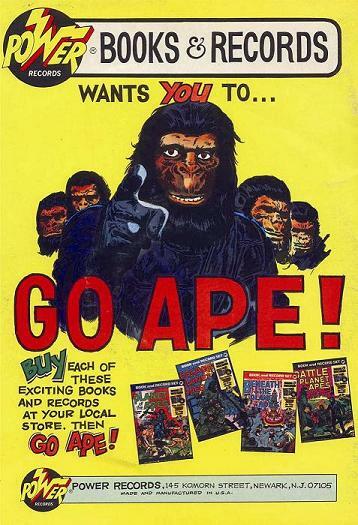 Now there are new comic books, action figures, Funko pops, and more being made based on Planet Of The Apes every day. It is a franchise that rivals that of Star Wars, Star Trek, and James Bond in it's world wide popularity and the fan's love and passion for it. Kids wanted to be Charlton Heston traveling to the mysterious planet of the apes, or they wanted to be the good ape Cornellius and help save Heston's Taylor character from doom. 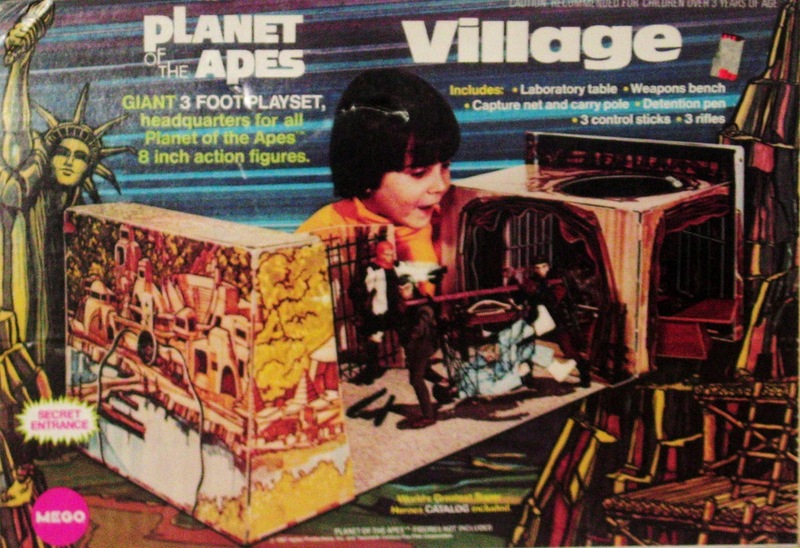 They would act out these adventures with Mego action figures and play sets in the 1960's and 70's and would read the further adventures of the Planet Of The Apes in comic books. Planet Of The Apes is the adventure of a lifetime and movie audiences thought so to when they flocked to theaters to see it in 1968. By today's standards the special effects of the original may not stand up to what we have today, especially in the remarkable cgi use in the new series that began in Rise Of The Planet Of The Apes with the amazing Andy Serkis as the ape Cesar who leads the war against the humans. But for 1968 the film did a remarkable job bringing the characters to life on the big screen and making audiences journey to a new world. Of course by the end of the film we find out it is a world more familiar than we thought with one of the single greatest ending's to a film of all time. If your reading this then you have likely seen the movie but if you haven't we won't spoil it for you. Let's just say you won't see it coming! That sense of wonder is what made the original Planet Of The Apes so captivating and something that is lost in today's movie world. It is difficult now days to find something original anymore but the reboot series of Planet Of The Apes has found a way to make the franchise feel fresh, new, and captivating just as the original film did almost 50 years ago. Planet Of The Apes will continue to be an important franchise for another 50 years of movie goers as new fans discover this fantastic science fiction series. 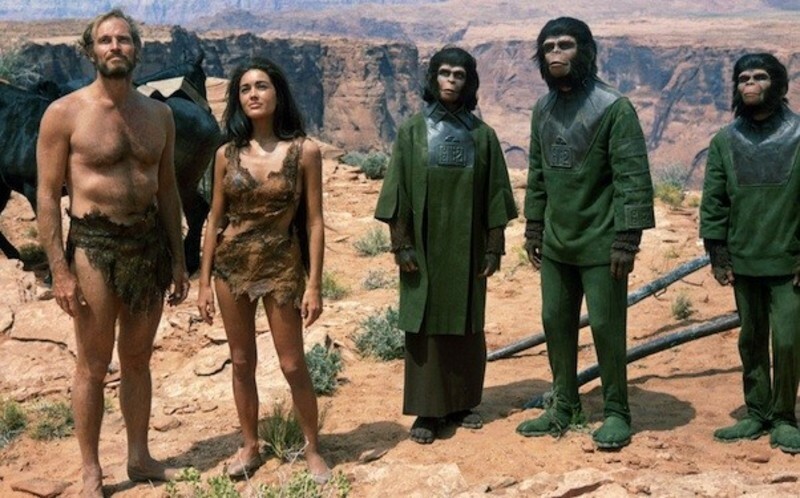 As we prepare for War For The Planet Of The Apes let's not forget where this amazing saga began in the original 1968 classic Planet Of The Apes. A piece of cinematic history and one of the greatest science fiction films ever made.